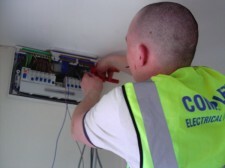 Complete Electrical UK (Ltd) provides a 24 hour fully comprehensive installation & maintenance service which operates from our head office in Wigan. 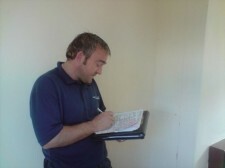 Our fully qualified 17th edition electricians and engineers are located around the UK to provide a professional service. 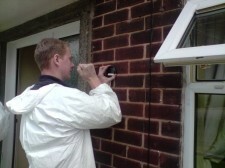 We pride ourselves in our ability to carry out all types of work, to the highest possible standards. Most within demanding timescales and budgets, always maintaining & meeting client’s expectations. Established in January 2003. We specialise in gas and electrical installations, central heating installations, refurbishments and maintenance; carrying out work all over the North West of England, Yorkshire, and London. The company has a wealth of experience in the industry, and pride ourselves on offering the highest standards of work and quality control, along with a competitive pricing structure. Complete Renewable Solutions is the ENERGY RENEWABLE division of our well established company Complete Electrical Ltd. We have utilised the family’s many years experience in heating, plumbing and electrical installations to expand and specialise in both Thermal Hot Water and Photovoltaic (PV) Electricity systems. Copyright Complete Electrical 2019©. All Rights Reserved.